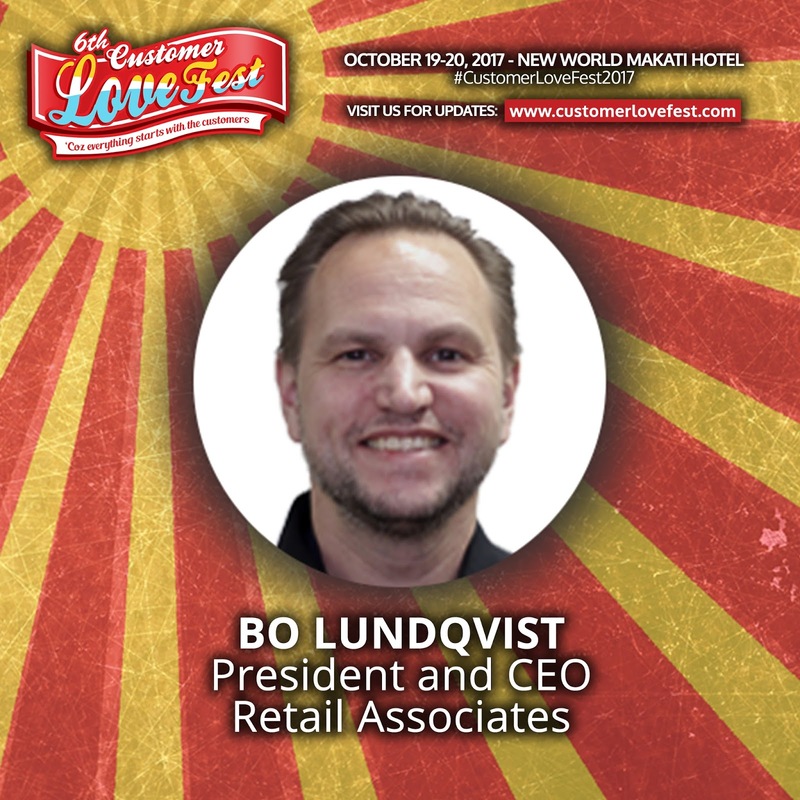 6th Customer Lovefest conference welcomes Retail Associates' Bo Lundqvist! The 6th Customer Lovefest conference on Customer Loyalty and Customer Experience welcomes Retail Associates President and COO Bo Lunqvist! Bo Lundqvist, a Swedish national, is a resident of the Philippines and has during his 19 years in the country been engaged in various consulting businesses handling retail, distribution and manufacturing. Bo is today the President and CEO of Retail Associates, a business he founded in 2006. Retail Associates is a leading retail solutions provider, focused on end to end solutions for mid to large retailers. Retail Associates represent Microsoft Dynamics, LS Retail, AGR and Dynamicweb in the Philippines. Bo Lundqvist is also the President of the Nordic Chamber of Commerce in the Philippines. On the second day of the conference (Customer Experience track, October 19), Bo will share to us how Customer Experience can be improve at the point-of-sale level. 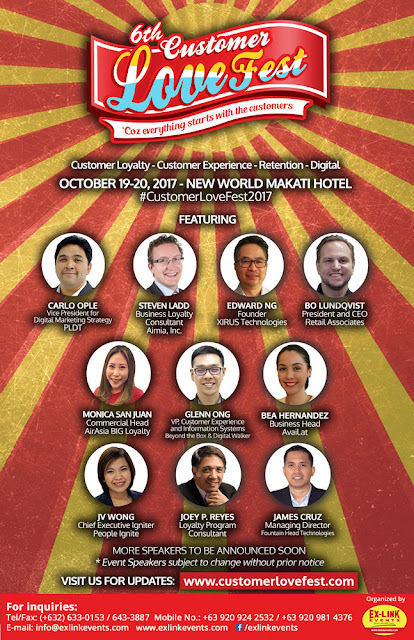 Continue your education on Customer Experience, Customer Loyalty and Customer Relationship, join the Customer Love Fest 2017 this October 19-20, 2017 at the New World Makati Hotel.